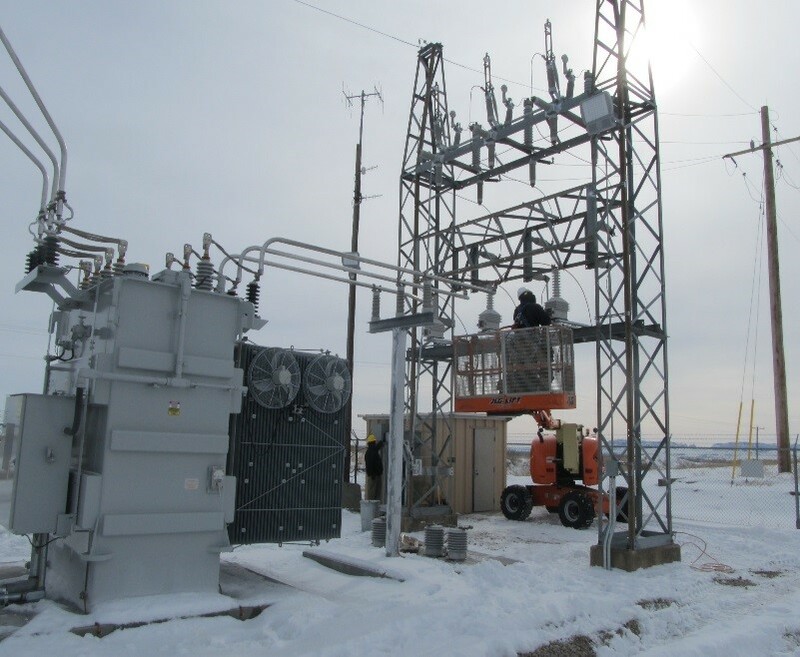 West Plains Engineering provided electrical engineering services for the upgrade and modernization of the Mitchell substation owned by Roosevelt Public Power District in Nebraska. The changes included the conversion of overhead “clothes-line” style bus to tubular aluminum bus, new below-grade spill containment system, three single-phase voltage regulators with SCADA control, specifications for purchase of a new 14 MVA 34.5/12.47kV transformer and four new triple-single feeder reclosers with Form 6 electronic controls. Other upgrades included new station LED lighting, ground grid improvements and new 48Vdc battery back-up system. The SCADA system upgrades included remote monitoring and control of all transformer alarms, and all intelligent electronic devices installed with the design, as well as radio telemetry, and control house environmental upgrades. New concrete foundations were designed to support the new larger transformer, regulators and static support steel poles.